MRMC Physical Therapy Department can help you with all your needs. 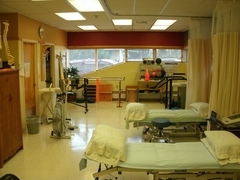 Our Physical Therapy department is open Monday-Friday from 8:00 am – 5:00 pm. We work as a team to assist our residents with their Physical Therapy and Occupational Therapy needs as well as any outpatients who look to us for rehabilitation or pain relieving therapies. The Physical Therapy staff at MRMC offers sportsmetrics to Fort Benton students during the summer months. The kids who participate in this program are photographed performing various jumps to identify improper core position. Then through a 6 week series of training sessions, they work on various strength and conditioning techniques and are retested at the end of the session. Knee health was emphasized but overall posture and strength were the goals. The coaches saw impressive results and worked with the PT’s to incorporate some of the ideas into daily workouts. Missouri River Medical Center Physical Therapy accepts insurances including all Blue/Cross Blue/Shield and Medicare. If you have any questions about your coverage, please feel free to call or stop by. 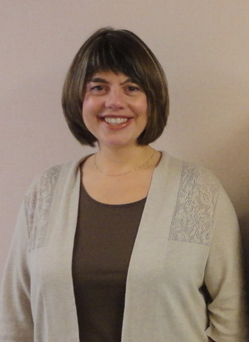 Through new technologies in Physical Therapy. Are there movements you just can’t do anymore? Let our Physical Therapy department utilize new technologies to help you regain some of your flexibility. Staying flexible means staying young. Physical Therapy: (definition) a profession that is responsible for management of the patient's movement system including joint, muscle, ligament and mobility pain. This includes conducting an examination; alleviating impairments and functional limitation; preventing injury, impairment, functional limitation, and disability; and engaging in consultation, education, and research. 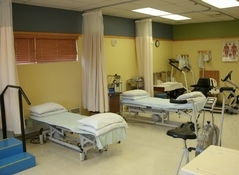 Direct interventions include the appropriate use of patient education, therapeutic exercise, and physical agents such massage, thermal modalities, hydrotherapy, electricity, manual therapy techniques and ultra sound.